From one ranting to another, here's one that really makes my hatred for the state burn: Income Taxation. And not only or even primarily for the intended and obvious effects of states confiscating other people's just property, meddling their juicy fingers in other people's business, but for the unintended consequences. 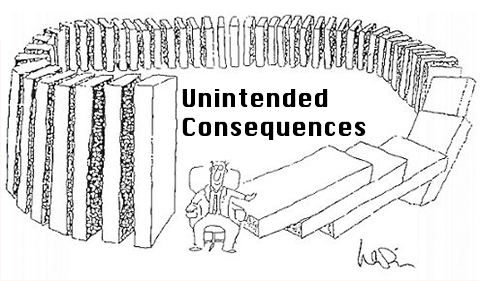 Unintended consequences are a hot topic in economics, and kinda beautiful things once you learn about them. It pushes any sane person closer to Huemer's position in In Praise of Passivity: states better have seriously good reasons to act, if at all. Here are four consequences (admittedly, anecdotal) of income taxation that makes anybody think twice about their worth. My colleague in Sydney works less than both he and his employer would like, simply because he hits a tax bracket. The marginal tax effect of that higher bracket makes the trade-off much less favourable. Those who have taken any courses in micro recognize this as simply Deadweight Loss (the area under the demand-curve, but above the supply-curve, which is now lost due to the taxation - hence deadweight loss). Taking away part of my income (and distributing it/allocating it in ways I most likely wouldn't) obviously lowers my control over my personal life. But, objects economists like Avner Offer, individuals' decisions are myopic and unreliable, and hence they are really better off when we guide some of their income (ie, forcing them) into certain things. Or maybe we're myopic for a reason. If part of my income goes to some other purpose than what I desire, that means I have less ability to take time off to, say, recover mentally from work or handle stress. It also means that I may not be able to afford quality food, meaning that I'm more likely to eat unhealthy - and so further down the line be exposed to diseases or illnesses that I could have (and would have) prevented by working less/eater better/acting according to what I saw fit. That is, I may intentionally prefer to spend that money now rather than in vague promise for, say, medical care should I be ill. Moreover, especially in terms of forced pension savings that many countries do, the state arbitrarily makes long-term temporal decisions for me. It's not clear that I'd prefer healthcare and pensions (costs primarily occurring far off in the future) over current expenditure on food, housing or, in my colleague's case, sending remittances to his (much poorer) family abroad. Quite unlikely, actually. Or one has to calculate with a seriously low time preference for that to happen. Taxation of income means that all of these things are arbitrarily decided by others, with pretty much no consideration of individual impacts. Besides, it's quite funny for governments who generally claim that they care about employment and reducing poverty, to impose taxes that achieve nothing but that. Income taxation puts people against one another; people that otherwise would harmoniously co-exist in the market place, are now competing against one another to get their particular pet project funded, or taxes levied on some particular demographic group they detest, subsidies to their particular activities. Turns friends into enemies, but admittedly that's more politics than income taxation. It does, however, give the impression that part of my property is yours to dispose of, and so unnecessarily strengthen antics between people. and perhaps most importantly, it takes away massive amounts of resources from the economy. And not in the traditional "private-spending-is-better-than-public-spending" (although that's probably true too), but in the waste associated with collected it. In every company in every country there are seriously bright guys and gals making sure their companies report taxes properly, pay the right amount and other compliance-based work. On the other side of that transaction, there are seriously smart people enforcing and processing those very tax rules. Most countries have entire industries helping individuals with their tax reports and tax returns - completely useless drag on any economy, creating nothing and contributing only to what amounts to a transaction cost on the entire society. The loss of innovation and waste of talent alone is probably higher than the amount handed over to the government. Once you understand opportunity costs and that which is unseen, you can start to imagine what we have lost due to income taxes. Taxation is stupid, on pretty much every level. 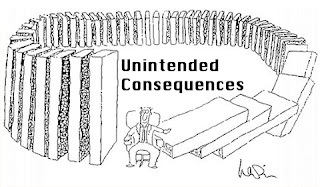 But its unintended consequences on individual behaviour is probably its worst aspect.